In 1852, William W. Briggs, a lumberman, came from Maine, and went into the lumbering business when he arrived in Hortonville. 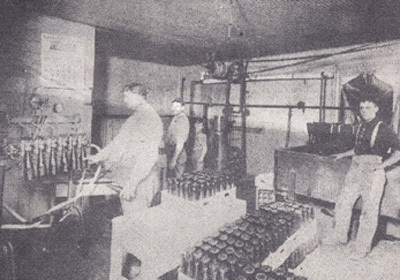 It took $50 to start house-keeping and his remaining $100 went into his business, when along with David Briggs and H. B. Sanborn, they secured the unsold portion of the village plat, and the saw mills. 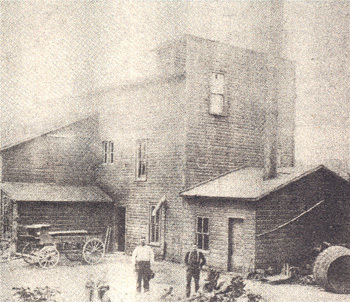 Briggs, with Ira Hersey and Sanborn, built the first grist mill at Hortonville, thus adding to the comfort of settlers. Soon afterward the property was divided with David Briggs taking the saw mill and timber land, and William Briggs and Sanborn taking the grist mill and village plat. At that time the finest lumber rafted down the Wolf and through the lake to Fond du Lac brought only $4.50 a thousand. After 18 years Briggs moved to Appleton, where in 1874 he built the Brigg's house. 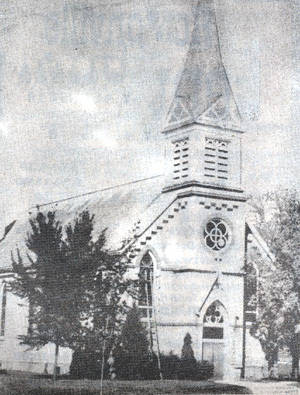 Hortonville has had a regular Lutheran preaching station since 1867. But members of the Bethlehem Evangelical Lutheran Church date their anniversaries from August 14, 1870 - the dedication of their first church building. 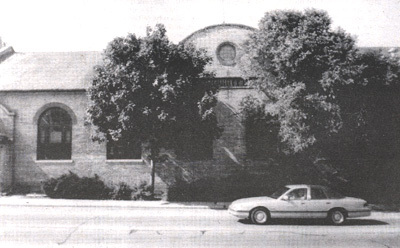 In January of 1897 the congregation voted to build a new church on the corner of Nash and Embarrass Sts. Five days later the first stones were hauled for the basement of the church. Less than three months later bids were opened for the building of the church. The bid was let to the local Diestler Lumber Co. for $5,165. Later $500 was added to the total. The cornerstone of the new church was laid Sunday, June 13, 1897. The church was dedicated Sunday, Nov. 28, 1897. That day, the second English service in the history of the congregation was conducted. The present church is solid brick in Gothic style. The church tower is about 100 feet high. An extensive remodeling of the original building took place 1960. The city of Hortonville dates its origin from the earliest settlement of the Township of Hortonville. 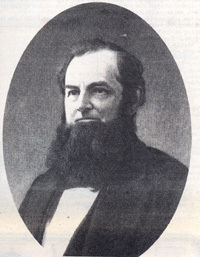 Both were named for the same man, Connecticut born Alonzo E. Horton, who was also the first settler. In the winter of 1847-8 settlers in the prairie or sparsely timbered counties to the south and southwest needed shingles. Knapp Brothers made hand-shaved shingles in a cabin on the site of Hortonville. At this place they were merely squatters, and it is doubtful if they were actually settlers in Outagamie County. Supposedly, a small colony of settlers from Ohio, known as the "Buckeye Farmers" settled near Hortonville, early (1848?) but did not remain long in that area. They moved on to the west where presumably land was easier to clear. "Father" Horton, as he was called, founded Hortonville on March 3, 1848 when he came to claim the land he had bought for 70 cents an acre on soldier land warrants he obtained at the end of the Mexican War. Since 1873, Hortonville has had a volunteer fire department, but for its first half century, people weren't the only volunteers. The fire engine was horse drawn, but the village did not keep a team of horses for that specific purpose. So when the fire bell was rung to call the volunteers, any team of horses on Main St. was liable to find itself hitched to the engine and whisked away to a fire. The Hortonville businessmen purchased the village's first fire department and Dite Collar was named the department's first fire chief. 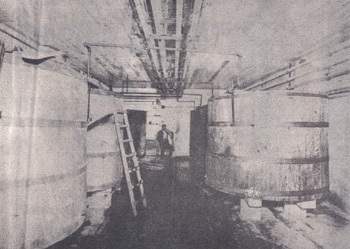 It was equipped with an 8-man hand pumper and water was used from Black Otter pond or hauled in barrels and other containers. Besides Chief Collar some of the village's first firemen were August Schultz, Mike Ritger, Wenzel Gitter, Fred Herbst, John Hagen, Chris Hagen, Webb Collar and John Klien. 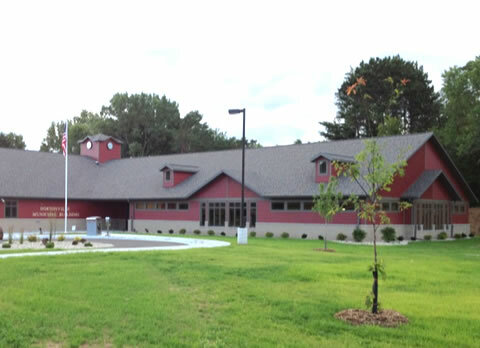 In 1881, village residents donated their own time to build the villages combined fire department and village hall, that was used till the new fire hall was built.